State-level Independence Day function will be organised in Mandi on 15 August, 2013. Chief Minister Virbhadra Singh, will preside over the State-level Independence Day function. Kaul Singh Thakur, Health and Family Welfare Minister, Prakash Chaudhary, Excise and Taxation Minister, Anil Sharma, Rural Development and Panchayati Raj Minister and Sohan Lal Thakur, Chief Parliamentary Secretary would also attend the State level function at Mandi. Brij Bihari Lal Butail, Speaker, H.P. Vidhan Sabha would preside over District-level function at Bilaspur, Vidya Stokes, Irrigation and Public Health Minister at Shimla, G.S. Bali, Food, Civil Supplies and Consumer Affairs Minister at Hamirpur, Sujan Singh Pathania, MPP and Power Minister at Dharamshala in Kangra disrtict, Thakur Singh Bharmouri, Forest Minister at Chamba and Mukesh Agnihotri, Industry Minister will preside over the function in Una. 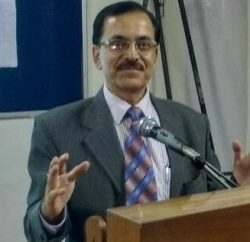 Sudhir Sharma, Urban Development Minister would preside over the District-level function at Kullu, Col. (Retd.) Dr. Dhani Ram Shandil, Social Justice and Empowerment Minister at Solan and Jagat Singh Negi, Deputy Speaker, H.P. Vidhan Sabha at Reckong Peo in Kinnaur district, Vinay Kumar, Chief Parliamentary Secretary at Nahan in Sirmaur district and I.D. Lakhanpal, Chief Parliamentary Secretary at Keylong in Lahaul-Spiti district. Neeraj Bharti and Jagjivan Pal, Chief Parliamentary Secretaries would attend the function at Dharamshala with MPP and Power Minister, Rajesh Dharmani, Chief Parliamentary Secretary at Bilaspur with Speaker, H.P. 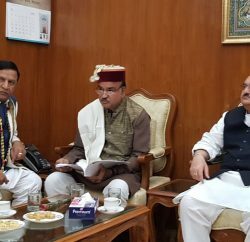 Vidhan Sabha, Nand Lal and Rohit Thakur, Chief Parliamentary Secretaries at Shimla with Irrigation and Public Health Minister.